Lo & Behold – President Obama behaved like Disraeli in making a deal with Iran and simultaneously acted like James Garner by graciously inviting the Sunni Gulf leaders to Washington DC for a summit. His administration swore eternal friendship with Saudi Arabia while essentially banishing Saudi Arabia & Sunni Gulf States from the right side of the Gulf. He even called Prime Minister Netanyahu, a man he reportedly detests, and very cordially listened to Netanyahu’s strident views and tried to soothe him. The sound & heat of the “nuclear” deal with Iran obscures the key reality – that this deal is really not about nuclear capabilities of Iran. It is really about formally beginning a relationship of interests with Iran, an acknowledgment of the ground reality that America cannot further its interests on the right side of the Persian Gulf without an unrestricted relationship with Iran. The specter of Iranian nukes & the need for stopping Iran from getting nukes had become a fettered chain for America’s pursuit of its interests. Those fetters, those binding chains, have now been broken. Leaving aside the 3rd point for now, this week’s US-Iran deal goes even farther than the first two points of our private deal. It is a public deal that will soon be approved by the UN Security Council. For once, this de jure agreement transcends the de facto reality on the ground. Despite occasionally acting like America’s ally (like in Afghanistan in 2001), Iran has been a determined foe for decades. Iran was the major impediment in converting Iraq into an American ally with long term American military presence. 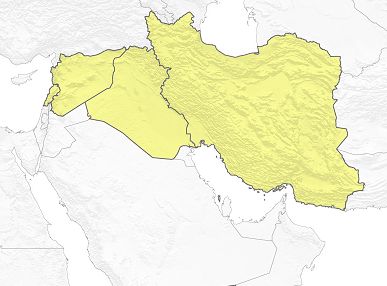 Iran was the foe who essentially forced America’s exit from Iraq in 2011. Iran was the unquestioned winner from America’s venture into Iraq. Iran remained a hated foe during the “Assad must go” phase of American policy in Syria. By January 2013, Iran was in a sorry state, weakened and beset with its own failing venture in Syria. Then Iran got lucky because ISIS arose. ISIS arose like a frightening apparition from the catastrophe in Syria which followed the appalling destruction of the Libyan State at the hands of the European & US NeoLibs. No one cares about Libya and no one would have cared about the rise of ISIS in Syria but for the frightening speed with which ISIS conquered Mosul and Northwestern Iraq. Remember the fear of ISIS taking the Baghdad airport last year? The bottom line is that Iran has become a winner and now the main player on the right side of the Persian Gulf. This changes only if ISIS wins big in Iraq or America once again puts in large number of combat troops in Iraq-Syria to simultaneously fight ISIS on one hand & Iran-Iran-backed Shiite militias on the other. The first is unacceptable and the second inconceivable. And the fight against ISIS has just begun as the American military knows well. So the de facto reality was an ally-like relationship between America & Iran on the right side of the Persian Gulf. This week’s deal finally frees America from its own trap and converts Iran into an Alliversary of America for now. The mega-change in America’s Middle East policy has been oil – today’s previously unimaginable reality of an America that is energy-independent of the Middle East. America is no longer trapped by the Middle East. It is now the Middle East that is trapped by its need for American military power. The Saudis get this and that is one reason they have been trying so hard to destroy America’s domestic energy production even at the cost of severe economic problems for their budget. The second mega-change is the understanding that putting large numbers of US troops on the ground in the Middle East is wrong for the American military, counter-productive to America’s interests and potentially a disaster for America. An America that is not critically dependent on the Middle East for oil, an America that will not put combat troops in the Middle East is an America that needs allies on the ground, allies whose own interests are congruent to America’s. On the left side of the Persian Gulf, America still has Saudis, other Gulf countries and Egypt. This is why President Obama resumed arms sales to Egypt this week. America did not have a similar set of “allies” on the right side of the Persian Gulf, only an arrangement of convenience with Iran on the ground. That was not going to be enough. And so the long two-year struggle to force Iran to the negotiating table and now this “nuclear” deal to make Iran a formal Hum-Safar at least where the interests of the two countries match. (Hum-safar is an Iranian-Urdu word for fellow travelers on the same road). In other words, Iran is now an ally first and an adversary second – an Alliversary on the right side of the Persian Gulf. So now in the new 21st century, America begins to act like Benjamin Disraeli of 19th century Britain of whom Bismark of Germany said in 1879 – Der alte Jude, das ist der Mann (The old Jew, he is the man). The more our world changes, the more it stays the same. Not the type of change Candidate Obama campaigned for but a change sensibly embraced by President Obama this week. Kudos to him. Editor’s PS: Our original suggestion about a private deal between America & Iran was put forth on January 26, 2013 – well before ISIS arose. At that time, only Israel’s tacit acceptance could have allowed a deal between US & Iran. That is why our “private” deal contained a gift to Israel about putting a Palestinian-Israeli deal on the shelf. With the emergence of ISIS and with the realization of the danger it poses, the need for an Israeli component disappeared. Frankly, ISIS minimized the relevance of Israeli interests in Iraq-Syria in America’s eyes – another reason why Netanyahu keeps dismissing ISIS in his public speeches.